How Do You Know Who the Best Divorce, Paternity and Legal Separation Attorney in San Diego is for your Family Law Case? Are You Currently Facing a Family Law Case in San Diego for a Divorce, Paternity or Legal Separation? Family Law Services San Diego Move Away Cases With Sample Trial Brief Scripps Ranch Family Law Attorney Services, Their Mission and Scope Why do You Need the Services of a Vista Family Law Attorney in San Diego? How can a Poway Family Law Attorney Help With Your Divorce Case in San Diego? How can a Rancho Bernardo Family Law Attorney Help You in Your San Diego Divorce? Rancho Santa Fe Family Law Attorney Services Report from San Diego Family Law Conference 2018 The Ambit of Work of a Del Sur Family Law Attorney in San Diego The Role of an Escondido Family Law Attorney The Services (Seen and Unseen) of a San Diego La Jolla Family Law Attorney What Is an Ex Parte Hearing? What Resources do I have if I am Self-Represented in my San Diego Family Law Case? Get a free copy of Legal Insider's Guide to San Diego Divorce, Legal Separation & Paternity. Request a free consultation. Thank you for your time and energy on this case, you took so much of the worry away from me! I appreciate all of your help. I will use and recommend you to other in the future. T.S. 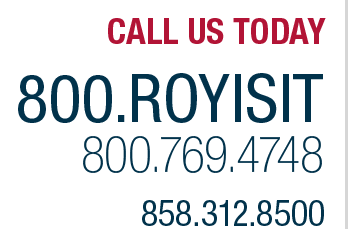 I want to take this time to thank you and your staff for an outstanding job with my case to terminate spousal, you are an excellent attorney Roy, and your staff is very professional and considerate to my questions and concerns of my case. Thank you very much again. T.Y. I wanted to say how much I appreciate your help and advice in regards to my name change. Your assistance during this time has been invaluable. Thank you again. M.J.
We serve the following localities: Cardiff-by-the-Sea, Carlsbad, Chula Vista, Coronado, Del Mar, Encinitas, Escondido, La Jolla, Oceanside, Poway, Ramona, Rancho Santa Fe, San Diego, San Marcos, Valley Center, Vista, and San Diego County.